Keeping track of appointments for laboratory testing can be complicated and time-consuming. 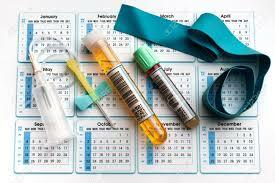 Many patients need to be tested at regular intervals to track medication use. Larger clients like medical centers, hospitals, and nursing homes need to schedule numerous appointments for dozens of patients. Doctors may need to order multiple tests for individual patients. Failure to schedule an order means the patient will have a troubling gap in their medical history. Instead of scheduling these orders manually, laboratories need to automate the process to cut down on entry time and reduce the chance of error. The Avalon LIS has a Prescheduling Module that enables clients to streamline the order scheduling process. With the Prescheduling Module, standing or future orders can be set automatically for nursing homes, other facilities, or individual patients. Clients can be sure that they are reserving every appointment they need to follow up on patient care correctly. Scheduling can be customized depending on the frequency of testing required to monitor patients. Orders can be set up at regular intervals (daily, weekly, monthly, or yearly) and repeated as many times as needed. As part of the Prescheduling Module, laboratories can monitor and draw work whenever they need using multiple reports and functions. Managing a laboratory presents different scheduling challenges than working in a hospital. Avalon helps keep laboratories organized whether they are conducting tests in a nursing home or at a remote draw site. Get a closer look at the experiences of a lab manager by reading our profile of a staff member at one of our client labs.